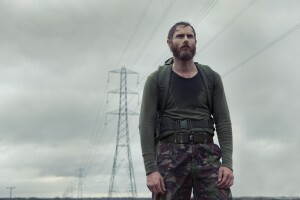 Southcliffe is a new four part Channel 4 drama that tells the story of a fictional English town devastated by a series of shootings that take place on a single day. The story is told from the point of view of a journalist who returns to his childhood town to try and unravel the reasons behind the shocking events. The entire series was filmed in Kent, with Faversham doubling as the town “Southcliffe”. The Warp Films (This is England) production has an array of talent behind it including award-winning writer Tony Grisoni (Red Riding, The Unloved) and directed by 2011 winner of the Sundance Film Festival Directing Award, Sean Durkin (Martha Marcy May Marlene). 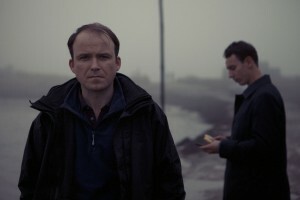 The series stars many familiar faces including Rory Kinnear (Black Mirror), Eddie Marsan (Tyrannosaur), Shirley Henderson (Anna Karenina), Sean Harris (Prometheus), Kaya Scodelario (Skins), Joe Dempsie (Game of Thrones), Anatol Yusef (Boardwalk Empire) and Nichola Burley (Wuthering Heights). In October 2012, Kent welcomed the Southcliffe production team, who based themselves at the East Kent Storage Centre in Faversham and made use of the surrounding beautiful and unique locations such as Faversham, Faversham Recreation Ground, Oare Marshes, Uplees Cottage, Whitstable, East Kent Railway, Grain Power station, Teynham Court Farm, Canterbury Hospital, Sittingbourne Police Station, Sittingbourne Community College as well as various other farms, pubs, churches and cafes. The production also made use of the Kent Film Office’s legal powers to close roads for filming, using traffic management and even road closures at various locations. The Kent County Council Film Office was involved from the early stages actively supporting the production’s location filming. 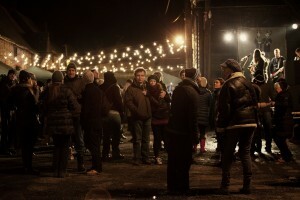 Gabrielle Lindemann, Kent Film Officer explains: “Since Faversham is truly a busy market town, hosting a high-profile drama while keeping disruption to the community to a minimum takes a lot of co-operation between local organisations. Faversham is a beautiful, historic market town which boasts nearly 500 listed buildings and is set on the picturesque Faversham Creek. It has many restaurants, shops, attractions and beautiful walks and has been seen many times on the small screen for productions such as Cook Me The Money (2013), Great British Story: A People’s History (2012) and Our Food (2012). Don’t miss the first episode of Southcliffe which will be shown on Sunday 4 August 2013 on Channel 4 at 21:00. This entry was posted in Filmed in Kent and tagged Anatol Yusef, Canterbury Hospital, East Kent Railway, Eddie Marsan, Faversham, Faversham Recreation Ground, Grain Power station, Joe Dempsie, Kaya Scodelario, Nichola Burley, Oare Marshes, Rory Kinnear, Sean Durkin, Sean Harris, Shirley Henderson, Sittingbourne Community College, Southcliffe film loations, Teynham Court Farm, Tony Grisoni, TV Drama, Uplees Cottage, Whitstable. Bookmark the permalink.